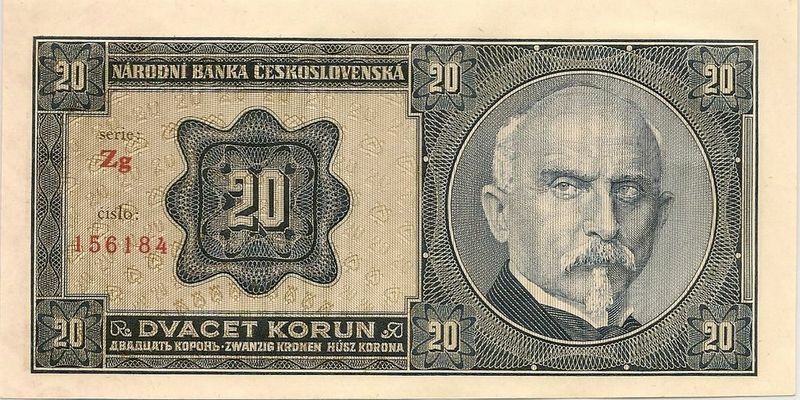 100 years ago the Czechoslovak Assembly decided on the name of the new republic’s currency - the koruna. Despite a variety of original proposals, the delegates ended up being rather conservative in their choice, voting for a name that had also been used for the currency of Austria-Hungary. 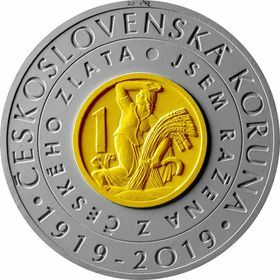 To commemorate the date, the Czech National Bank has issued a rare collection of gold-silver coins. 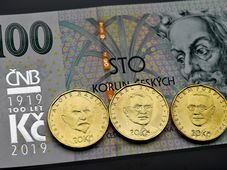 In a secretive reform initiated in March 1919, Finance Minister Alois Rašín gave the order to start invalidating Austro-Hungarian banknotes and printing a new type of currency - Czechoslovak crowns. 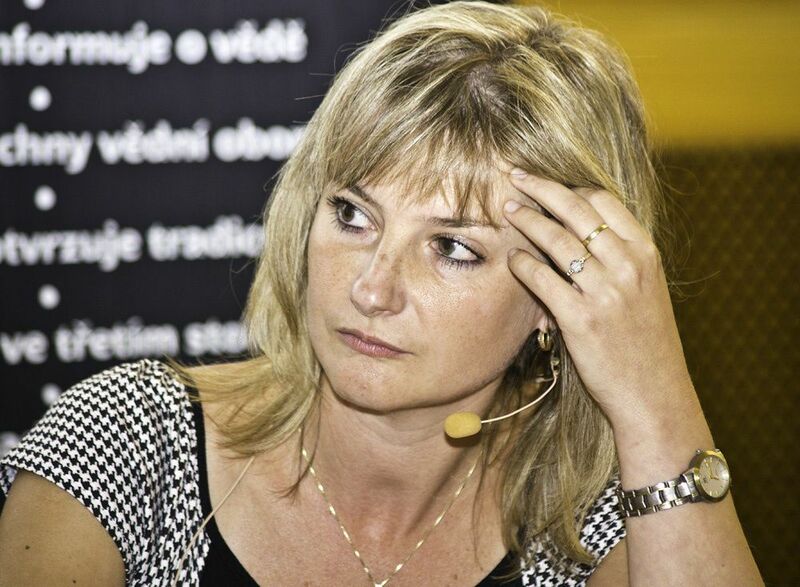 Jana Čechurová, photo: Stanislav Vánek, Czech Radio Historian Jana Čechurová, from the Department of Czech History at Charles University, says Mr. Rašín’s decision came at the right time. However, there is a twist to the seemingly straightforward story. Alois Rašín, never counted on the crown becoming the single official currency, says Czech National Bank Archivist Jakub Kunert. 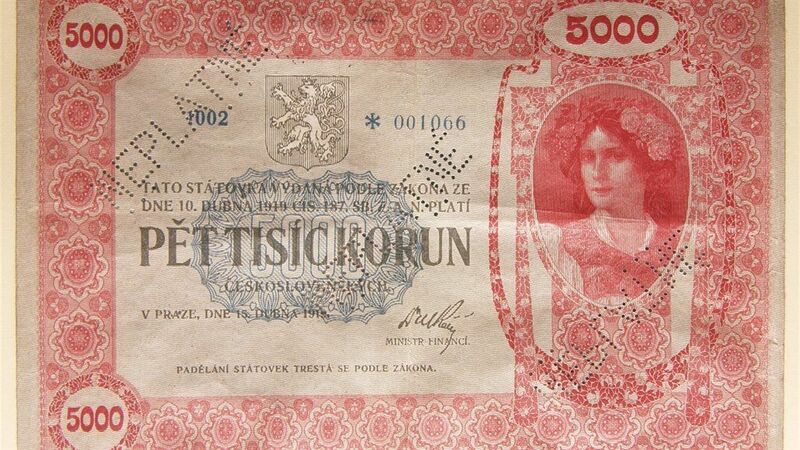 The highest value banknote was the red 5000 note, photo: Aurea Numismatika The official name, the Czechoslovak crown, only appeared in April 1919 and plans to maintain the frank ended in 1925, when it became clear that backing up Czech currency through the gold-standard would be impossible. Other ideas for how to name the currency included the beet, falcon, lion, denarius and groshen. The design for the 10, 20, 200 and 500 crown banknotes came from Alphonse Mucha, who included the portraits of his own wife and daughter in the designs. With no central bank at the time printing had to be done primitively in letterpresses which made falsifying bank notes easy. 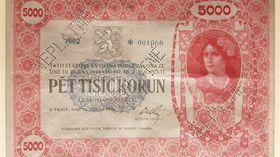 The highest value banknote at the time was the red 5000 note. 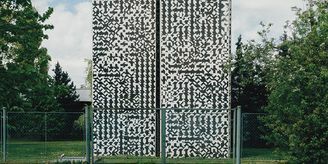 It has since become a very rare collectable item, says Lukáš Funk from the National Museum’s Department for Numismatics. Those thinking of securing their own rare coin that may prove valuable in a hundred years’ time have reason to hope. 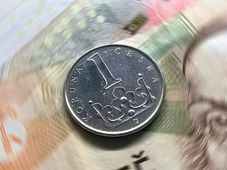 The Czech National Bank issued a special two-metal commemorative CZK 2000 coin on Wednesday. 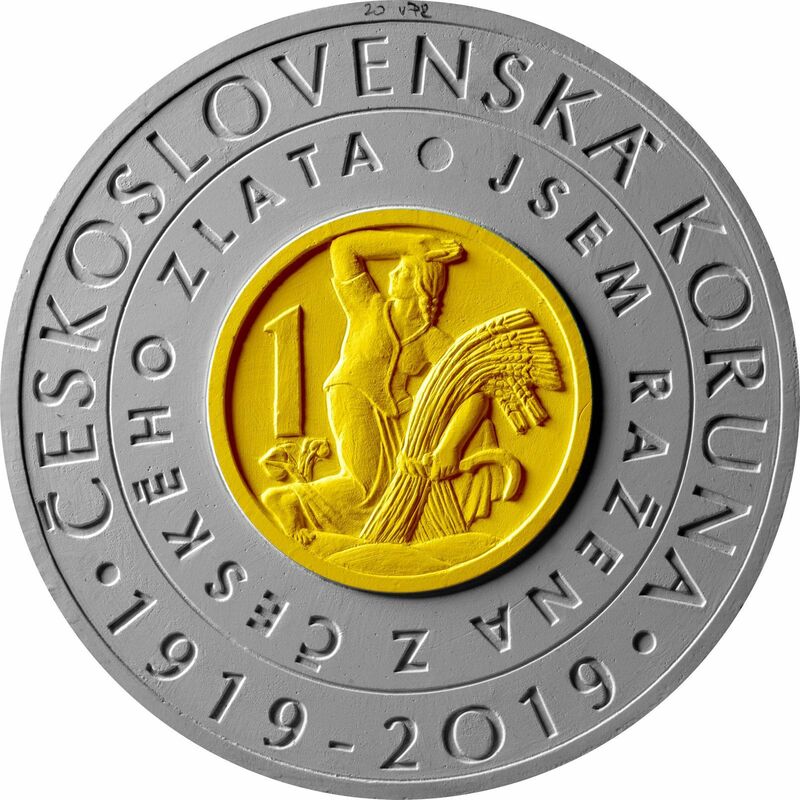 The coin features an inlay made out of gold mined on Czech territory in the 1920s surrounded by a silver circle stamped with the words “Czechoslovak crown 1919 – 2019” in Czech. 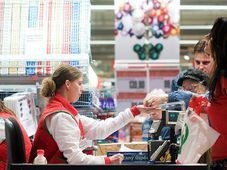 The bank has minted 7,200 pieces, which can be bought at selected Czech and Slovak stores featured on the bank’s website.